The annual Philadelphia Geek Awards are coming up, and you might recognize one of the groups being nominated this year. 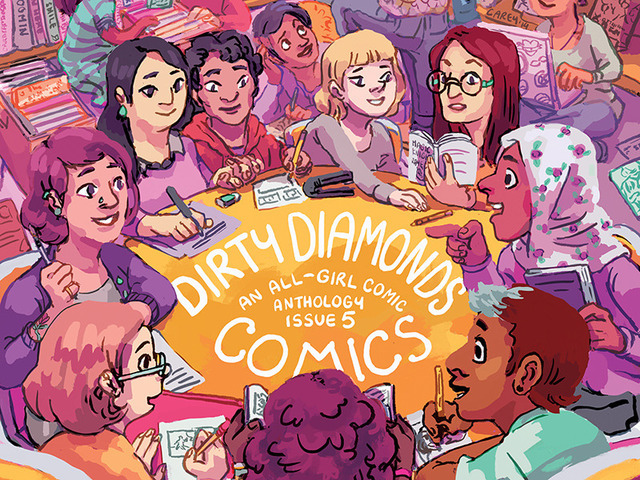 Dirty Diamonds Comics has been nominated for 2015 best comic, and back in the fall semester Dirty Diamonds headlined a graphic novel event in the Library. Villanova community members learned from co-founders, Claire Folkman and Kelly Phillips, about the logistics of making a comic book, navigating the publishing world, and what it means to be a woman comic creator. Dirty Diamonds is an all-female creation, which directly leads to the type of content they want to create. The goal of these comics is to give a platform for other women comic creators, which is exactly what they have done. Their first published book, Comics, smashed a Kickstarter goal of $8,000. This is a collection of work collected from 32 women from 6 different countries discussing their love of comics. Dirty Diamonds is up for Comic Creator of the Year. Other nominees in this category include local comic creator Ian Sampson and the people behind Locust Moon Comics. The awards will be held on August 15; find out more information at phillygeekawards.com. Learn more about Dirty Diamonds at dirtydiamonds.net. Feel free to satisfy that geek craving by reading some of Falvey’s graphic novel collection.